After the second game in the Los Angeles Angels’ series against the Washington Nationals (which also features the battle of Bryce Harper and Mike Trout, the best pair of position players the league has ever seen at the same time), Albert Pujols became the third-youngest player to reach 500 home runs in his career when he hit his second of the evening. It was a good return to form for Pujols, who didn’t manage to crack 100 games last year owing to a handful of nagging injuries. The Angels won that game, 7-2. Pujols had 5 RBIs (runs batted in). But where does this accomplishment move him on the all time home run leaderboard? Currently, Pujols is the twenty-sixth player to ever reach 500 hits, which slides him a little bit in front of Lou Gherig (493), but Albert is also still playing, and he’s only facing down one other active player in the top twenty-five — and that’s Alex Rodriguez. How far can he go over the rest of the season? 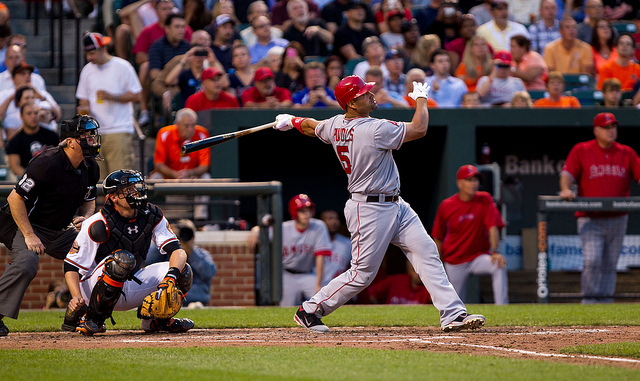 Over his last three mostly-healthy seasons, Pujols has averaged about 36 home runs a year. His pair of homers last night brought his season total to 8 already, in 20 games, and the two-time World Series Champion looks better than he has in a little while. Assuming he hits about as well as he has been over the last few years, here are the eight players that could feasibly be moved down the ladder by Albert’s 2014 homers. Steady Eddie won a World Series with the Baltimore Orioles, was an eight-time All-Star, won three Golden Gloves and three Silver Sluggers (his last, in 1990, coming a solid thirteen years after he was drafted) all on his way to a retired number with the Baltimore club and a 2003 admittance to the Hall of Fame. Not a bad chest of accolades to accrue over a career that spanned two decades — Murray retired in 1997. 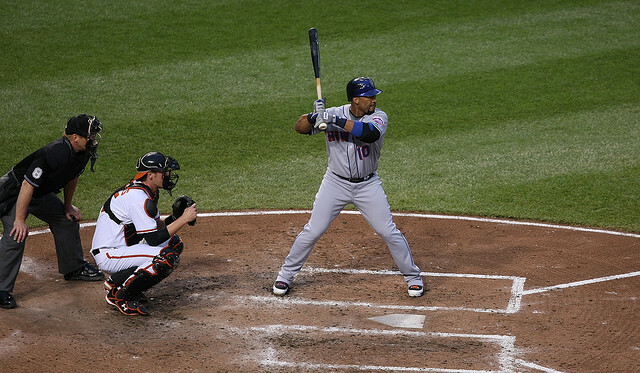 First things first: Gary Sheffield is the nephew of Dwight Gooden. That’s a fun fact. Here’s another fun fact: He works as an agent now. So there’s two things to Gary Sheffield beyond his play in the Major Leagues. After beginning his pro-baseball career in 1988, Sheffield would embark on an eight team journey, eventually playing for the Brewers, the Padres, the Marlins, the Dodgers, the Braves, the Yankees, and the Tigers on his way to a one year stop with the New York Mets before retiring in 2009. Along his way, Sheffield would hit a whole bunch of home runs — peaking with 43 in 2000 as a member of the LA Dodgers and careening as low as 2 during his 1991 campaign with the Brewers — and parlay his play into nine All-Star appearances, five Silver Slugger awards, and a 1997 World Series victory with the Florida Marlins (now the Miami Marlins). 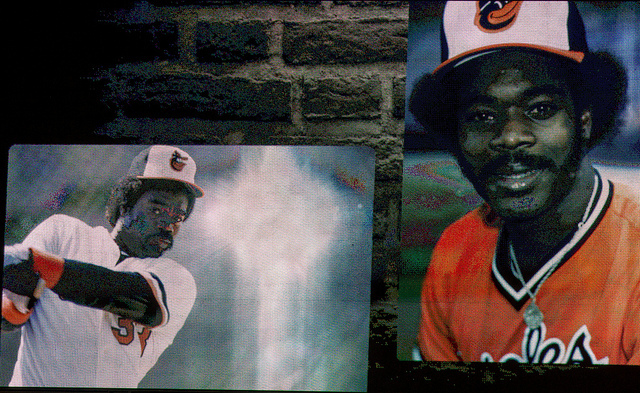 Sheffield was named in the Mitchell Report as one of the MLB players who had taken steroids, although he has never admitted to PED use in public. Here’s some Hi-Def highlights from his time with the Yankees in 2004, a season that saw him add 36 homers to his eventual total. Master Melvin, who was the first National League player to break 500 home runs, played from 1926 until 1947 as a member of the New York Giants, recording twelve straight years as an All-Star, winning a World Series in 1933, and having his number, 4, retired by the franchise. He is also immortalized in a statue located in his home town of Gretna, Louisiana. 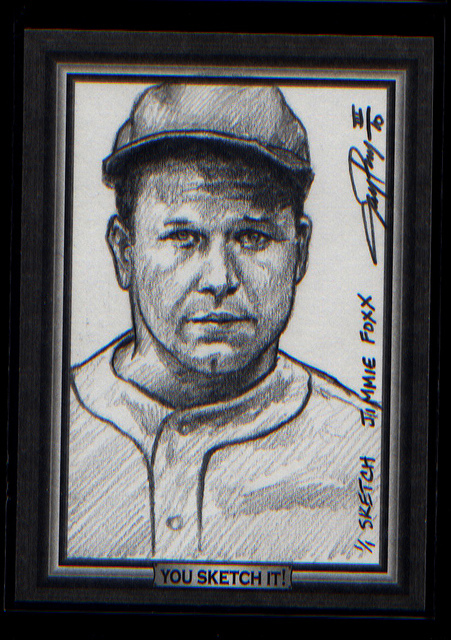 To put his career into some perspective, he was able to enter the MLB directly at the age of 16, whereupon it is certain that he ate many hot dogs and provided vast swaths of entertainment to the fans that sorely needed it (Ott played through the entirety of World War II as well as The Great Depression). And, because baseball is often more entertaining to watch than it is to read, here’s some footage of Ott hitting one of his 511 home runs. 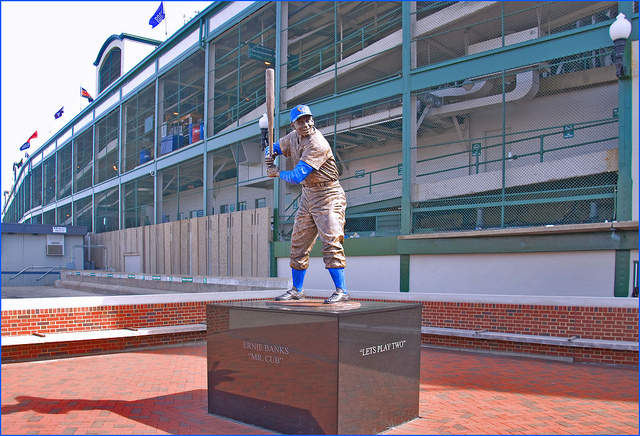 Ernie Banks, who you can see enshrined outside Wrigley Field, was a Chicago Cub for his entire career. It should go without saying, then, that he never won a World Series. He did, however, accomplish almost everything else a hitter in the MLB could ask for, garnering fourteen All-Star Nods, leading the National League in home runs (and RBIs) twice between 1958 and 1960, and grabbing a pair of National League MVP awards over that same stretch. After serving in the Army for the Korean war, Banks also briefly played hoops for the Harlem Globetrotters. Eddie Matthews, who made the Hall of Fame in 1978 after playing for the Braves as they moved from Boston to Milwaukee and then to Atlanta — the only player to play for the franchise in each city — as well as the Houston Astros and the Detroit Tigers, is similarly decorated. A two-time World Series Champion (in ’57 and ’68), as well as a twelve-time All-Star, Matthews was noted for his swing. You can check it out below, in another one-minute Hall of Fame biography on YouTube. And, at last, here are the three final players that Pujols can be expected to threaten for the rest of the 2014 season. Since Pujols has averaged about 36 home runs a season over the last few years, and he’s already hit 8, the safe money is on him finishing up the year with about 525 homers to his name. In order to keep going up the ladder again, Albert would need to finish the year with at least 42 home runs, which is possible (he did it as recently as 2010), but not all that likely. 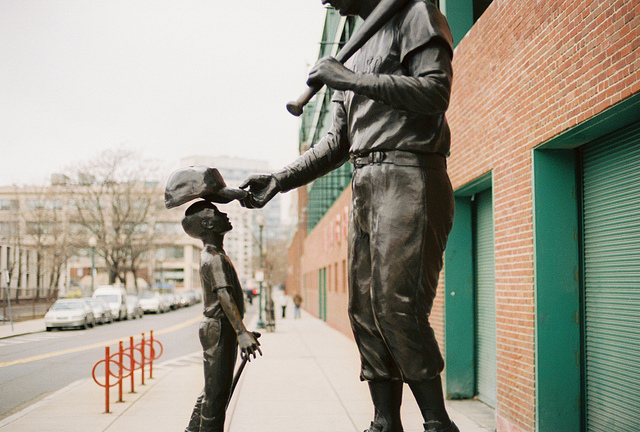 Ted Williams, his likeness pictured above, needs little introduction. A life-long Red Sox player, Williams won six batting titles, was a nineteen-time All-Star, a four-time AL home run champion, and a four-time RBI champion. Designated hitter Frank Thomas, who played for the Chicago White Sox, the Oakland A’s, and the Toronto Blue Jays, was inducted into the Hall of Fame in 2014. And Willie McCovey, who played for the New York/San Francisco Giants, owns the record for home runs hit at Candlestick Park, with 231.